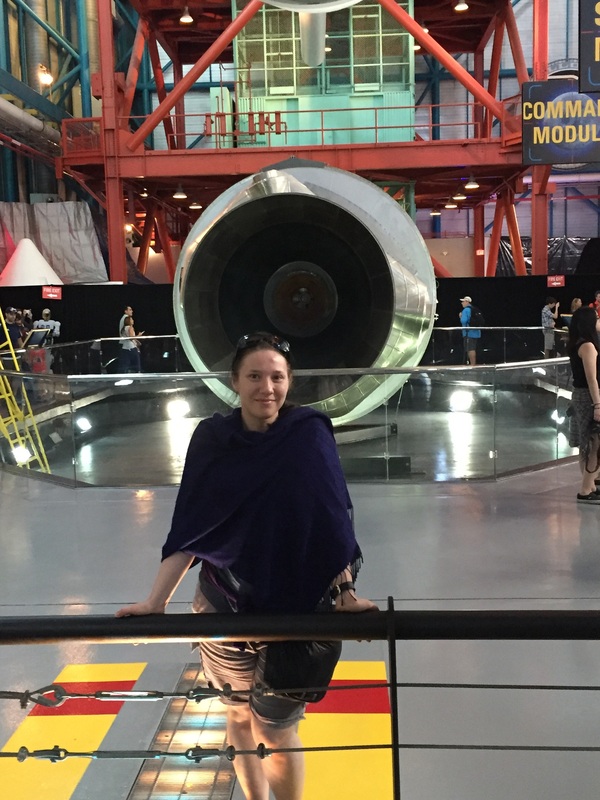 Maarit Koponen visiting the Kennedy Space Center. 1. Tell us a little bit of who you are. 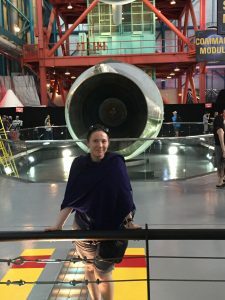 I am a university lecturer of English, researcher of translation technology, a former professional translator, and a fan of both historical dramas and science fiction. I have an MA in English Philology and a PhD in Language Technology, both from the University of Helsinki. I live in Helsinki, and commute to Turku, for which reason I feel both profound appreciation and frequent annoyance toward the Finnish railway system. 2. What kinds of courses do you teach? How and when can our students meet you? I teach English BA-level courses, such as Academic Writing & Speaking and Grammar 2, and various translation and technology courses on the Multilingual Translation Studies MA track. Currently my office hours are on Thursdays, 11-12, but that tends to change in different semesters. Making an appointment by email is a good option. 3. What do you do research on? What would you like to study in future? My research focuses on translation technology, particularly machine translation, and the effect of technology on translation processes – how they produce translations. Questions of cognitive processing fascinate me, and in future research I hope to be able to dig deeper into the effect of (machine) translated text quality and errors on cognitive load both for translators and for readers of those texts. How do translators process errors and correct them? How do errors affect the reader response, and how are readers able to recover information even from an imperfect text? 4. Can you describe what a typical working day is like for a lecturer? Different working days vary a lot, so it is difficult to define a “typical” one. There are days where I am teaching several lectures, or taking part in various meetings, or both, with lots of running in between. There are days preparing lectures and marking student papers. And then there are research days, which may mean staring at an xml file trying to figure out what on Earth is going on with my data, or writing, which may mean either furious typing or staring at a blank page. 5. What do you do when you are not a lecturer? Any time for other things in life? I enjoy music and dance – I play percussion instruments and go to dance classes to get exercise beyond running between lectures and meetings. For a relaxing evening, I enjoy watching documentaries. My interests range from the history of the English monarchy to dinosaurs to all things space, aliens, conspiracy theories, and true crime, which is occasionally characterized as “baffling and slightly worrisome” by my nearest and dearest.